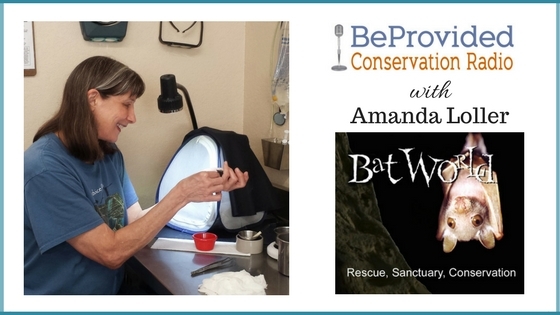 I first heard of Amanda Loller and Bat World Sanctuary in an interview on Mongabay (a great conservation resource). She was talking about Bat World Sanctuary's bat rescue efforts after Hurricane Harvey in Texas. I knew we needed to speak with her about this. Bat rescue news after big storms was something I have never heard of and though people should be made aware of all animals affected by such things. In this episode, Amanda speaks to us about how she became an animal rescuer. She first rescued and helped a chicken heal and thrive under her care as a young girl. Bat World Sanctuary has a great website: https://batworld.org. Here you will find resources for bat conservation and videos of rescued bats.